Sohrab Kashani is an interdisciplinary artist and an independent curator based in Tehran. 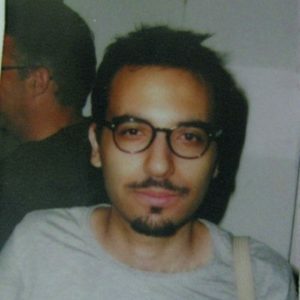 Sohrab is the founder and director of Sazmanab, formerly a center for contemporary art and a not for profit art space, currently an artist collective based in Tehran and on the internet. He has exhibited internationally and has held talks at Asia Society, New York; Tisch School of the Arts NYU, New York; International Studio & Curatorial Program (iscp), New York; The Delfina Foundation, London; Gasworks, London; Haus am Waldsee, Berlin; YARAT, Baku; Global Art Forum (Art Dubai), Dubai among others.